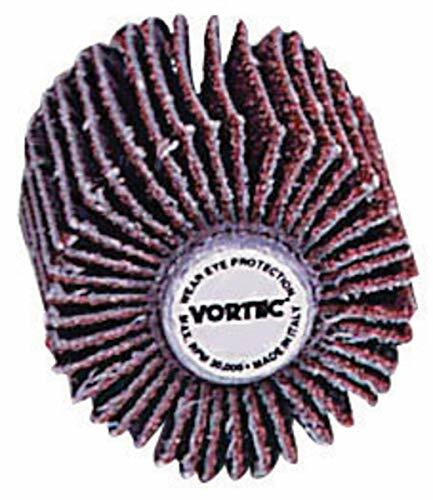 Weiler 1'' X 1'' X 1/4'' 120 Grit Fine Grade Aluminum Oxide Vortec Pro Mounted Flap Wheel, Package Size: 10 Each by Weiler Corp. at UCBC Group. Hurry! Limited time offer. Offer valid only while supplies last. If you have any questions about this product by Weiler Corp., contact us by completing and submitting the form below. If you are looking for a specif part number, please include it with your message. 6 Piece Protective Lab Coat Pocket Organizer Kit Has Fashionable Blue Chevron Pattern! Attractive Yet Durable - Made of Super Strong Denier Polyester. Perfect Gift for Nurses, Students & You!